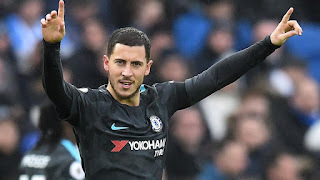 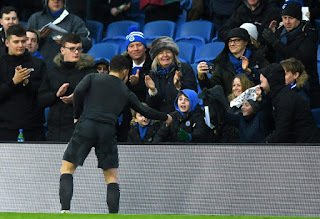 Hazard was in top form today and everyone in the stadium couldn't get enough of him. 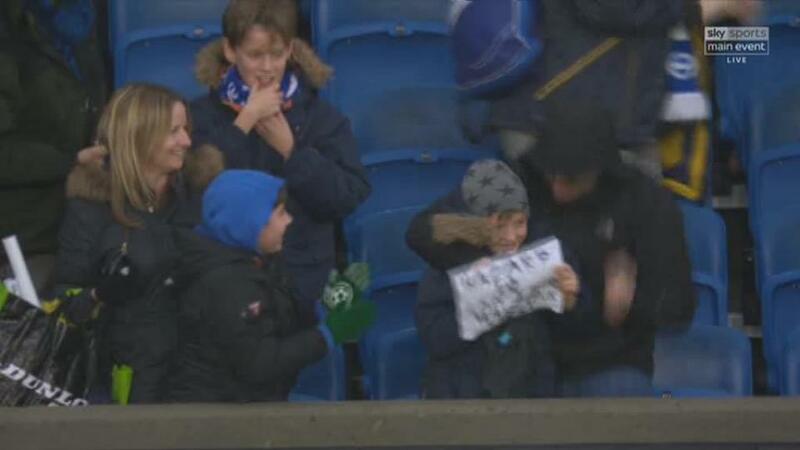 During the game at Amex Stadium, a young Brighton fan hold up a paper showing he wants Hazard shirt. 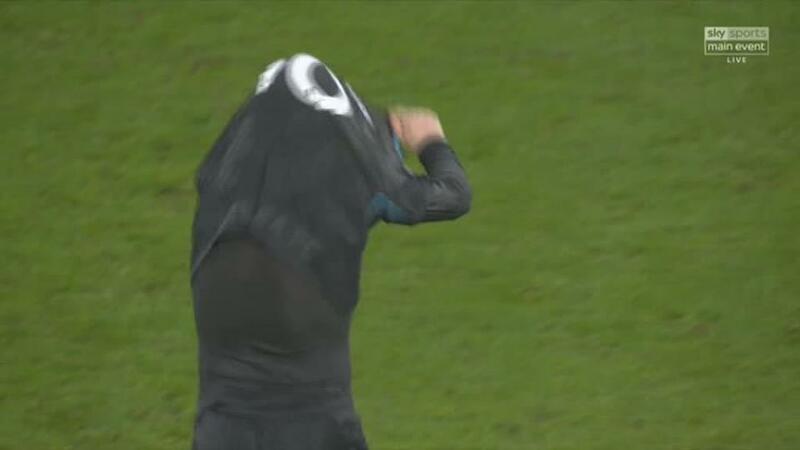 No sooner had the final whistle blown, the Belgian captain took his shirt off and marched over applauding the crowd. 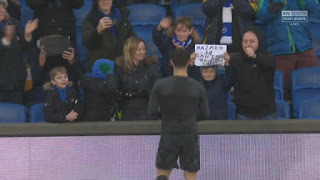 Hazard clearing noticed the youngster in the stands holding up the sign that reads 'Hazard 10 - Can i have your shirt'. 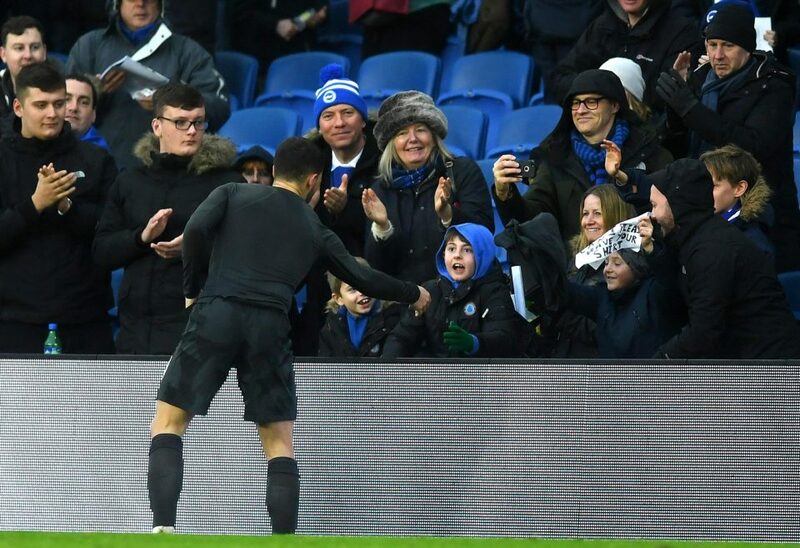 Hazard made the youngster day by handing over his shirt and giving him a cuddle. The boys family and those nearby were delighted. This was a very good gesture from Eden Hazard.